What is a Parti Yorkie? Everything you need to know! Over the past couple of years, we are seeing a huge demand and interest on this really beautiful tri – colored Yorkshire terriers called Parti Yorkies. It’s even rumored that over the last years more Parti Yorkies have been registered with the AKC (American Kennel Club) than traditional Yorkies. But what is actually a Parti Yorkie? Are they purebred Yorkshire terriers or some kind of mutts? Where and how did they come from? Why are so many people and reputable breeders still hiding them and refusing to accept that they are nothing but a colored version of our favorite Yorkies? Well, that is exactly what we are going to talk about in this article. We will give you all the information and answers you need to know about these real beauties. We have spent a considerable time researching and analyzing data from the different sources in order to give you the most accurate information about the Parti Yorkies and their appearance. What is a Parti color Yorkshire Terrier? Parti Yorkies are purebred Yorkshire terriers with the only difference of their coloring. The “standard” color of Traditional Yorkies is blue and tan while the Parti Yorkies will usually have the black, white and tan color. Now, you already know that Parti Yorkies are purebred Yorkshire terriers. Logically, you should be asking yourself if a traditionally colored Yorkies can produce a Parti Yorkies or only Parti colored Yorkies can have tri-colored offspring. In either case, Parti Yorkies may appear in a litter. That happens because some traditionally colored Yorkies carry the Parti Yorkie gene. They might have some white spots on their chest, chin or feet (or any combination of them). But it is also not rare when Parti gene carriers sometimes cannot be recognized as they don’t have any white or “off standard” colors on them. What is important to note is that if only one of the parents is a Parti gene carrier, there will be no Parti Yorkies in the litter. The Parti color gene is a recessive trait so, in order to have Parti Yorkies in the litter, both parents must be carriers. If only one of the parents carries the Parti gene, he or she may pass it to some part of the offspring. They, on the other hand, will not have any Parti marks but only be carriers. That way, parents may pass the Parti gene to their children for many generations. The Parti gene itself will lay dormant, hidden in the Yorkies until the time a purebred Yorkie carrying the Parti gene is mated with another purebred Yorkshire terrier who carry the Parti gene, too. Only when this condition is met there will be Parti Yorkies in the offspring. Furthermore, not all of the descendants would be Parti Yorkies. Parti Yorkies History. How, when, where and why did they appear? You might be a little confused with the above written and that is why we need to present you the historical facts behind the Parti Yorkies. That will better help you to understand their existence. The history seems to be silent about the roots of our favorite dogs. Back in the time, there was no data and record keeping about the foundation of the Yorkshire terrier breed. That is why we can only guess and suppose which were its ancestors. Of course, there are many theories but none of them has been proven so far. One of them is that the Dandy Dinmont, the Paisley, and the Clydesdale are some of the parents that made up today’s look of our Yorkies. What is documented though is that the Yorkshire terriers are cross-bred dogs without pedigrees. And this information is found in some of the earliest kept records. What we also know for sure is that back in those times, people were not familiar with spaying and neutering their dogs. So what could be the result of this? As you all know, Yorkies were used by the farmers to chase and catch some small rodents and to clean up their farms. But Yorkshire terriers were not the only dogs used by the farmers and working class at that time. For sure there were other terriers and breeds living with them. Undoubtedly, the “surprising” pregnancy of the Yorkshire terriers is something the people were familiar with. It is not difficult to guess that many times the males who fertilized the female Yorkies were random dogs from other breeds. Also, it is documented that people mated Maltese with Yorkshire terrier to improve the texture and the length of the Yorkie’s coats. History describes our favorite dogs as broken haired, with short and coarser coats back at that time. We also know that breeders used other breeds to mate Yorkies prior to the dog show era. That is how they selectively wanted to develop the blue and gold color we see in today’s look of our canines. Even though there is no record that mentions Parti Yorkie marks on our favorite Yorkies, it doesn’t mean that they didn’t carry the recessive Party Yorkie gene with them. Who knows if their mother or father, grandmother or grandfather or any of their ancestors was a Parti colored Yorkie? We cannot know for sure because as we earlier said, the history still remains silent. And this is mainly because the first known breeders of the Yorkshire terriers were miners, weavers and factory workers who were none or poorly educated. 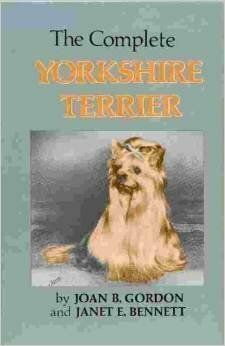 The first references pointing to the tri-colored Yorkshire terriers are found in books from the 1800s. Earnest Hemingway was also one to mention his grandfather’s white Yorkshire terrier called Tassel in one of his books. It is also said that he became extremely fond to the white Yorkie. The selective breeding of blue and gold Yorkshire terriers started following the dog show era. This was also the time when reputable Yorkie breeders could be identified. But none of this reputable breeders wanted to be linked with the “trashy” tri-colored Yorkies which somehow appeared in their litters. Parti colored Yorkies were considered as a “low – quality” dogs at those times. And that is the reason breeders would not hesitate to either put them down or give them away secretly with the agreement that where their new owner got them will be kept as a secret. No breeder wanted the public to know that his purebred Yorkshire terriers have a “low – quality” dog in their littler. It might be unbelievable to you but those cruel acts have been practiced through the years and even nowadays some show breeders are used to put down the white „intruders” in their litters. As we have earlier explained, the recessive Parti genes may lay dormant within the Yorkies until two Parti gene carriers are mated together. But back in the time, people were not aware of this fact. They also didn’t know which particular Yorkie is a Parti gene carrier as they didn’t have any distinguishing marks on them. That is how the tri-colored recessive genes were transferred through the generations and sometimes the white Yorkies would suddenly appear in the litter. What we can clearly see from the above quotations is that the authors are speaking about the “the white Yorkshire terriers”, meaning that they are Yorkies only with different colors and do not consider them as some kind of a different breed. 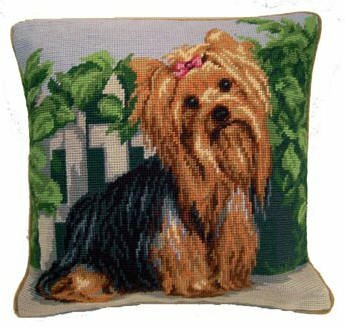 The official recognition of the Parti Yorkies came in the year of 2000 after remarkable efforts of Mrs. Gloria Lipman of Nikko’s Kennels. The Nikko’s Kennels are the most well know breeder of Party Yorkies. This is due to the fact that they were the first ones to contact the AKC for registering the “off standard” version of the Yorkshire terrier. Nikko’s Kennels are dating back from the year of 1969 and within 10 years they were honored with prizes with seventeen of their purebred Yorkies. Nikko’s Rolls Royce Corniche was a purebred Yorkie who won the prizes in 1983 and 1984. He was out of Nikkos Orange Blossom and CH. Nikko’s Mister Independence. From Corniche was borne CH. Nikko’s Rolls Royce Ashley, born in 1982. From Ashley was born Nikko’s Mickey Spillane – a Party colored Yorkie which was born on born in 1992 and Nikko’s Silk and Sale, born in 1991. When the above two dogs were mated they had a litter of 3 pups born in 1997. Their name was Nikko’s Great Expectations, which was a Parti colored, Nikko’s April in Paris, Parti colored too, and Nikko’s Golden Charm II who was black and tan with white markings. The first Parti colored Yorkie to be registered was Nikko’s Mickey Spillane. Here it is important to note that she was not registered as a Parti but rather as a blue and tan. This is because the AKC did not recognize Parti Yorkshire terrier coloring at that time. The only reason to give you the information above is that we want you to see that purebred Yorkies, entitled with so many prizes were able to produce Parti colored Yorkies. Let us once again remind you that Parti Yorkies have been appearing in the litters of the reputable breeders much more often than the people were aware. As they were considered as “low – quality” dogs, most of them were either killed or given discreetly away to someone that will keep the secret from where he got the beautiful dog. Mrs. Gloria Lipman from Nikko’s Kennels was one of the few refusing to execute her white Yorkshire terriers. Not only that but she would always find a loving home for the beauties that would otherwise ruin her top breeder image. A lady called Ms. Borgen once saw one of the white Yorkies and decided to follow his owner for 5 miles because she was desperate to find out the place where he got this charming dog. Finding out that the white beauty comes from Mrs. Lipman’s kennel she immediately arranged a meeting with her in order to negotiate a couple of white Yorkies. The big problem that Mrs. Gloria Lipman explained to Ms. Borgen was that the white doggies cannot be registered with the AKC with their true coloring. The only way to register them is like she did with her male Party Yorkie called Nikko’s Mickey Spillane. The pup was registered as blue and gold as the AKC didn’t have a particular color code for the new variation of those Yorkies. But Ms. Borgen didn’t want her Parti Yorkie pups registered as blue and gold and she would do anything to change that. After long conversations and negotiations, Ms. Borgen explained that she agrees to buy each newly born Parti Yorkie from Mrs. Lipman if she asks the AKC for DNA testing of the parents who created the white doggies. It looks like that Ms. Borgen had some really good negotiations skills because somehow she managed to convince Mrs. Lipman for the DNA testing of her Yorkshire terriers. Well, surprisingly or not, Mrs. Lipman paid a very high price as the procedure appeared to be very long. During the testing, AKC closed her kennel for one year and a half during which she could not run any business as a breeder. During this one year and a half, the AKC tested forty-two litters, male and female dogs of Mrs. Lipman. But the AKC could not be satisfied with the results only from the dogs of Mrs. Lipman. During the test period, they have contacted many other reputable breeders (also abroad) to acquire information about the tri-colored Yorkies. They all confessed that very often white Yorkies would appear in their litters, too. But what is more interesting is that AKC found out that one of those breeders had much more newborn tri – colored Yorkies than Mrs. Lipman did. So finally this difficult times for Mrs. Lipman were over and the AKC was ready with the DNA studies and their final decision. Their decision was based on a thorough investigation of the roots and ancestors of the Yorkshire terriers as well as the DNA studies of Mrs. Lipman’s dogs and all the collected data from the rest of the reputable breeders producing purebred Yorkies. Their final conclusion was that purebred and traditionally looking Yorkshire terriers are able to produce Yorkies with different colors. Since the year of 2000, Parti Yorkies can be registered with the AKC with a color code 014. Here it is very important to note that Parti Yorkie can be registered with the AKC only if both of his parents are registered, too. After the official recognition of the Party Yorkies came, many reputable breeders started to breed them but because of the history-changing fact that Mrs. Lipman was the one to really make them registerable, her kennel remains to be the most famous and distinguished so far. Why many people are used to believe Parti Yorkies cannot be registered with the AKC? The main confusion comes from the YTCA’s position that Parti Yorkies are a different variation of Yorkshire terriers and they are not “standard”. But this doesn’t mean they cannot be registered with the AKC as we already explained. YTCA is the institution which sets the rules and guidelines for the official AKC dog show competitions. This means that all Yorkies which do not meet the above requirements will be automatically disqualified from the AKS Conformations (this is the official name of dog shows by the AKC). The Parti Yorkies are only allowed to participate in the AKC agility competitions. Those are the shows where dogs and their owners can both show the athletic abilities of the dog and their mutual communication. To sum up the above written we must say that Parti Yorkies are purebred Yorkshire terriers. The only difference with the “traditional” Yorkies is their coloring which is a result of the recessive genes. Party Yorkies are not unhealthy dogs or some kind of mutts. Many people still refuse to accept that fact but this is all a matter of business and money for them. As the interest and demand are going really high for these real beauties, so are the prices. Our suggestion is to carefully research the breeders prior to buying a Parti Yorkie. A reputable breeder must be able to provide legit documents of DNA tests and AKC registration of the parents of the descendants. Thank you so much that you appreciate our efforts! These look like Biewer Terriers to me. Thank you so much for this valuable information..!!! How about those pure white yorkie? I am so appreciative of this very informative article. I have a beautiful Parti-Yorkie (Izzy) that is a family pup and we love her SO MUCH! She is a feisty, loving, funny and gorgeous puppy and a joy to wake up to every morning. She is registered with the AKC as both of her parents are registered Parti-Yorkies. Everywhere we go people are amazed at her beauty…white legs/chest/neck with a black body and typical Yorkie face. She is adorable!!! I have a female from a litter of 6 which has 2 brother’s one white and one cream. The rest were traditional in colour. My girl has now turned blue silver with a white head. Please correct errors , it is the piebald gene not a parti gene, it’s spelled parti not party. Parti color is not just black ,white and Tan, it means any two or more colors of which one must be white. There can be chocolate parti colors, gold parti colors, sable parti colors etc. some of your photos are Biewers , they have long tails, parti color yorkies tails are docked. Some breeders are choosing not to dock tails due to the cruelty of the process. You can’t judge a Yorkie because an undocked tail. I have two Yorkies with undocked tails. It doesn’t make them any less of a Yorkie. I have a Yorkie and I was told she has the party gene, she came out of a litter of 6 she has 2 brother’s that are cream and platinum. She is a showing no black and tan. Is there a test I can have done? I love here too bits. Cutes as a button but colour is a mixed bag.